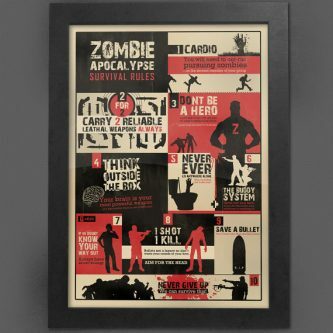 This book is a must have for any zombie fan, as it gives you the necessary skills to survive the coming zombie apocalypse. 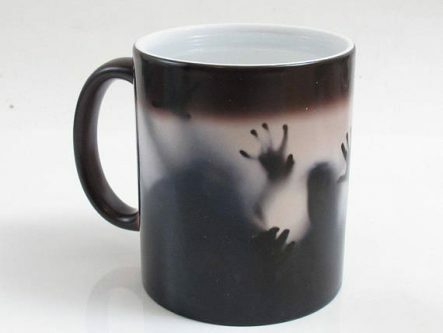 Any true zombie lover needs this realistically creepy zombie to store their wine for them in (zombie) style. 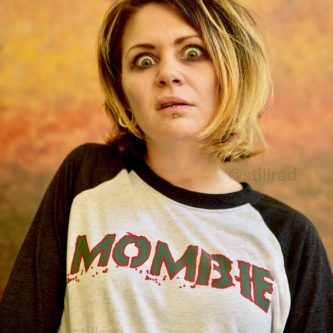 If you know a zombie lover who also happens to be snarky, this is the shirt for them! 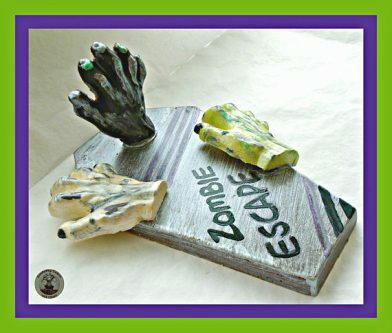 Any WAlking Dead fan would love to stab a zombie with, so stab away at this pen holder. 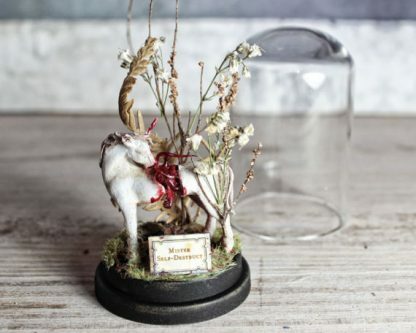 This unicorn comes with his own glass dome to call home and is the perfect gift for the most magical of your zombie lovin’ friends. 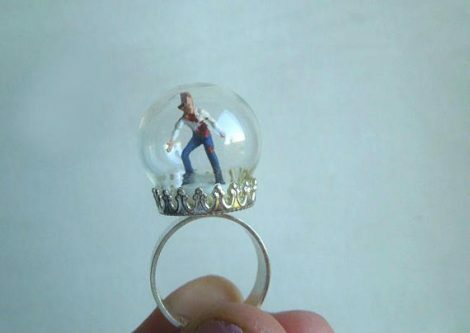 Proudly display your caught zombie with this snowglobe-esque ring. Whetehr your mommy friend is a zombie lover or just a crazy busy mom she’ll get a kick out of this shirt! 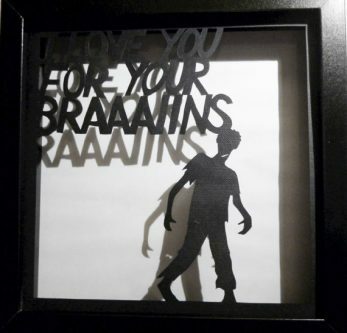 Proclaim your love zombie style with these zombie hand in the shape of a loving heart. 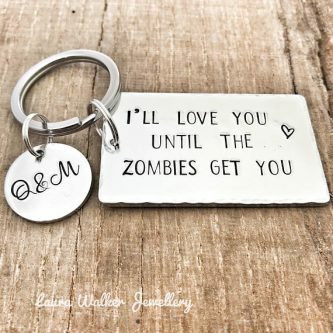 Another way to proclaim your love with some zombie flair, this personalized keychain is the perfect gift for your significant other! 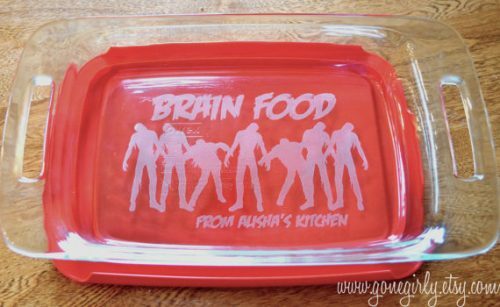 Not only funny, this personalized bakeware is practical for any zombie obsessed chef. 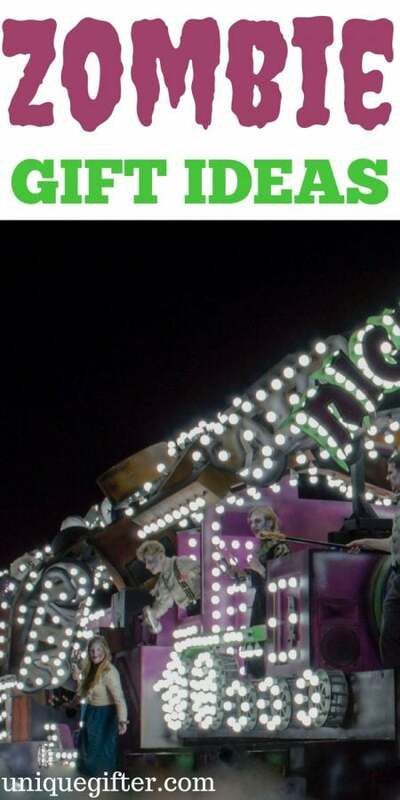 A card game for all ages, this game takes classic golf and zombifies it. Dogs can love zombies too! 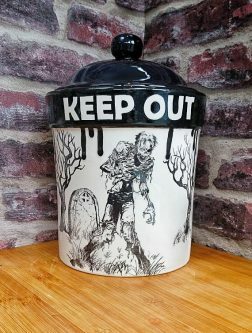 in this zombie treat jar that is sure to ward off non-zombies. Eat your heart (well, brains) out with these zombie guts gummies! Last but not least, you can never go wrong with a big bucket of zombies!